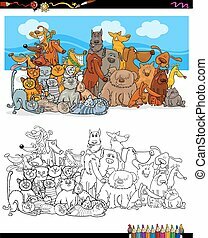 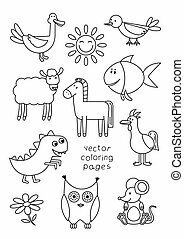 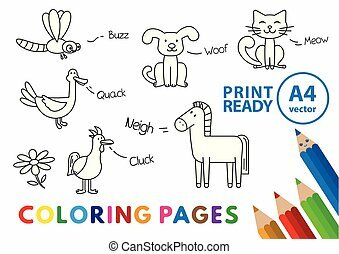 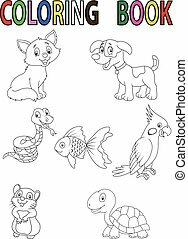 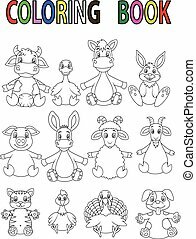 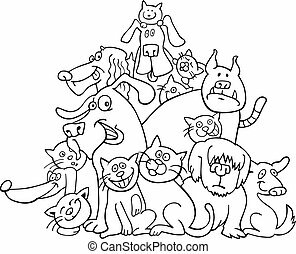 Cats and dogs characters group coloring book. 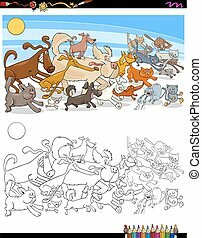 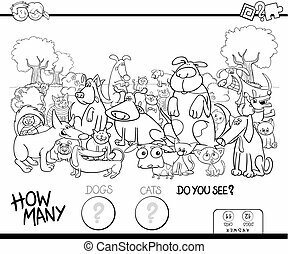 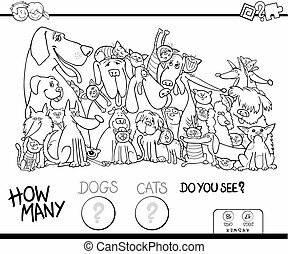 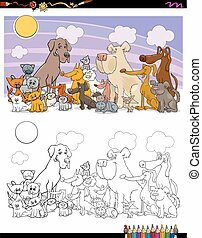 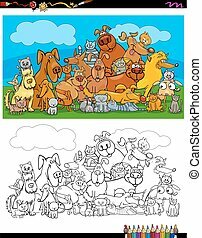 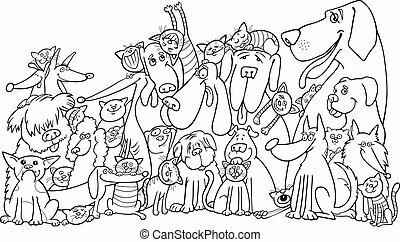 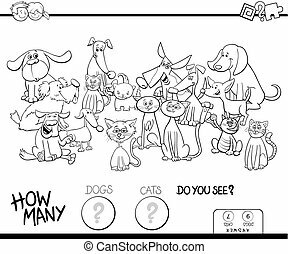 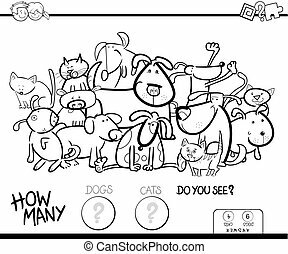 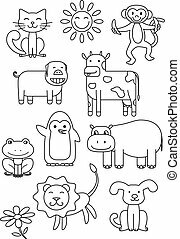 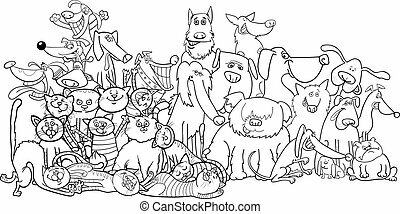 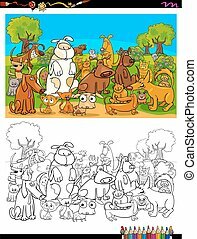 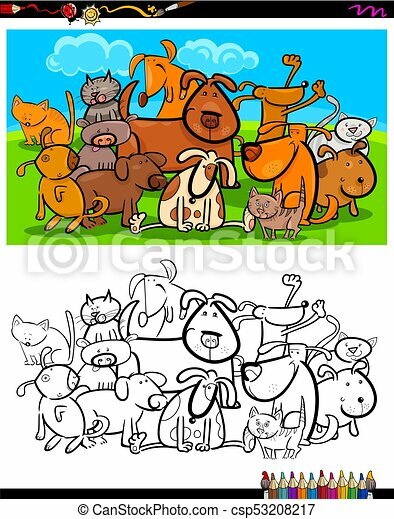 Cartoon illustration of dogs and cats animal characters group coloring book activity. 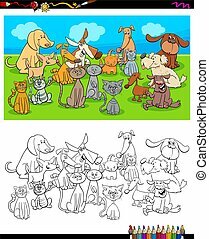 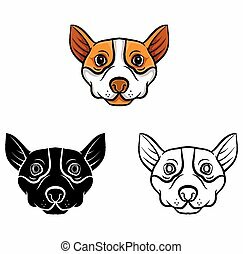 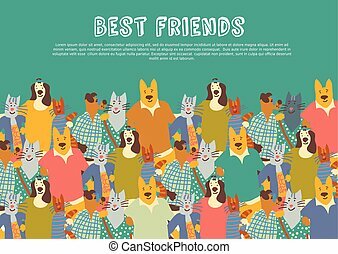 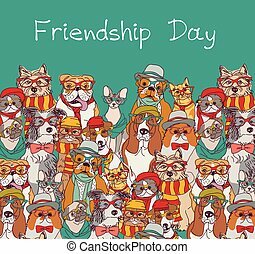 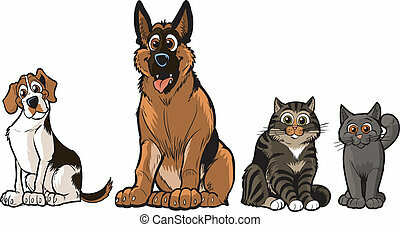 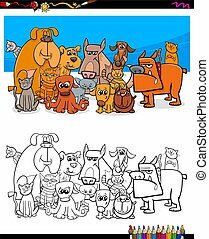 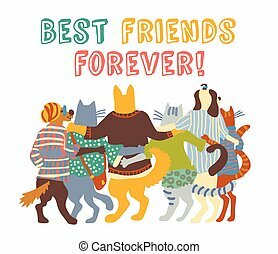 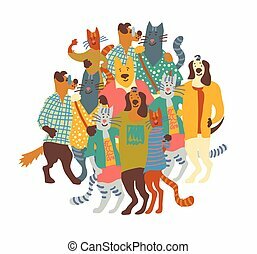 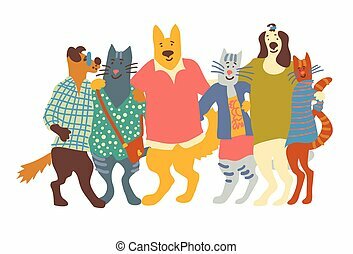 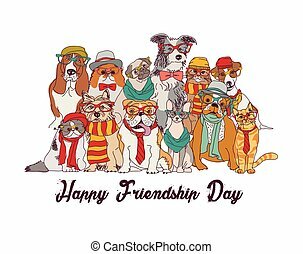 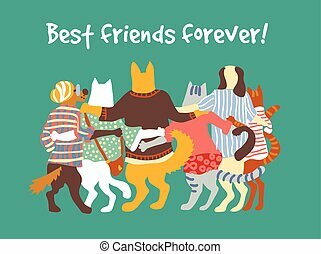 Vector cartoon illustration clip art of a group of 2 dogs and 2 cats, A Beagle, German Shepherd, Tabby, and a Grey cat. 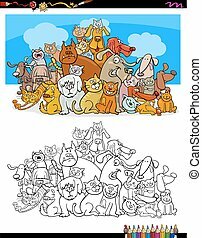 Each pet is on a separate layer. 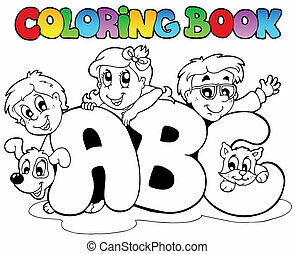 Coloring book school ABC letters - vector illustration.